The fittest win out at the expense of their rivals... 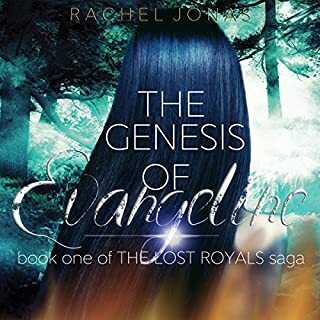 When Meghan's life is threatened, she flees the city and seeks sanctuary in a distant village: a place unseen by human eyes for over one hundred years. Not knowing if anyone can be trusted, Meghan tries to determine who is friend, who is foe... and who has captured her heart. Meanwhile, a battle for survival brews all around her. First solo adventure to another country some becomes more as Our heroine follows her heart instead of her instincts into the world of faerie. Can't wait to start book 2. 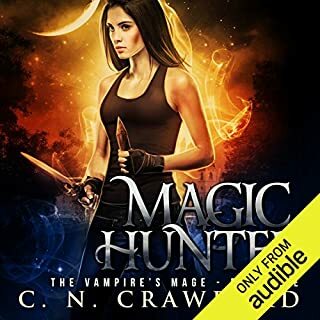 "This audiobook was provided by the author/narrator/publisher free of charge in exchange for an unbiased review via Audiobook Blast." I enjoyed reading this book. This is my first book by this author and also my first Fae book. 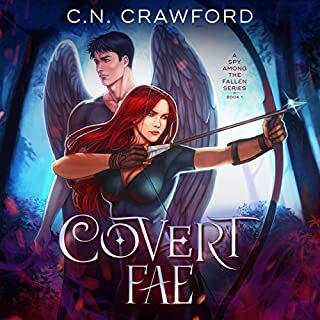 I have heard other talk about Fae books, so I am happy to finally read one. This book is perfect for the entire family. It is a clean read too, so nothing embarrassing if neighbors hear it playing. This is a story about a girl turning 18 and gets to travel. 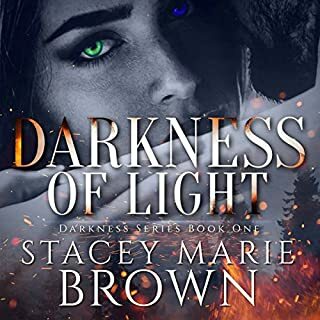 She meets some Fae fairies both light and dark. This story has danger, adventure and paranormal happenings in it. I found this book to be entertaining and light hearted. I look forward to the next book in this series. The author, Anna Kyss did a great job writing this story. The plot is great and I find her imagination intriguing. The narrator, Meghan Lewis did a good job on the delivery with multiple voices and accents. All in all this is an very interesting book and a new genre for me. Good job! I received this audio book free of charge in exchange for a honest and unbiased review. One of my problems with this book is that the heroine was never made real to me. The author only gave her as much development as you would give a passing secondary character. At the beginning, I honestly thought the heroine was a secondary character who was about to be killed or something before we met the actual heroine, because I was never given any reason to sympathize with her or to care what happened to her. Not only was she not very well developed, but she was stupid. She never acted with any sense and she just kept going along with what the guys wanted while her only worry seemed too shallow to fit with the plot in the story. And the one "guy" she is pining for is really kind of a jerk and has no redeeming qualities. He is too busy feeling sorry for himself and throwing tantrums to make himself likable. And what qualities does this heroine have that makes all the guys want her except that she is pretty and will follow them dumbly wherever they lead? I wouldn't recommend this book to any Young Adult girls because I would frankly demand that they have more common sense than this. What did you love best about Wings of Shadow? Wings of Shadow was a very intriguing and interesting listen. The story kept my interest and caught my full attention. What other book might you compare Wings of Shadow to and why? Which character – as performed by Meghan Lewis – was your favorite? Was not planned that way, but once I started listening, I could not stop. Everything else just had to come second until this book was finished. Waiting for the sequel, can't wait! Very good plot. Was very entertaining until about 3 quarters through the story. Not sure why but I think it list its momentum. Seems the author changed her mind about the ending or just up and ended it. Still a good easy read. No obscenities or sexual content. I'm going to have to listen to the next book. I want to find out what happens next! this was a good book, written well. I loved the performance! she did a fantastic job! I hope we get to hear more about Megan in the next book! Thriller Drama and Romance all in one. Would you listen to Wings of Shadow again? Why? Yes I would listen to Wings of Shadow again. Good narrator and well written. What was one of the most memorable moments of Wings of Shadow? When Killian's men grab Meghan from the tree house. Have you listened to any of Meghan Lewis’s other performances before? How does this one compare? No but hope she does book 2 in the series. She did a great job on this one. I can be iffy when it comes to fantasy reads. This one was interesting and created intriguing world, It just didn't thrill me. The concept wan't anything new, good fae vs bad fae. It is kind of all over the place and I had a hard time keeping with the whole plot. Lots of stupid girl moments for the heroine. 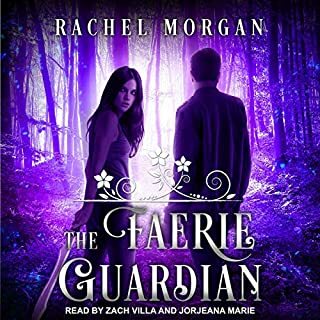 I listened to the audiobook narrated by Meghan Lewis, who does a fantastic job. Honestly her great read is one of the things that kept me listening. She has a terrific pace that keeps the book moving. One of the highlights of this book are the narrators skillful accents. I really enjoyed her work and would love to hear more reads from her. Good coming of age story with a twist. I love new takes on old legends and myths. It started off by not revealing too much in the beginning, which made you feel a bit like Meghan, let you stew for a while until problems were resolved in a natural manner. The story had a nice flow, likable, believable characters. I like that it wasn't verbose but would have liked to see a little more character development. I enjoyed the narrator, she had believable accents and a pleasant voice. I look forward to listening to the next book.